2 bed, 2007, Advent Saffron Lodge Only £119,950!! 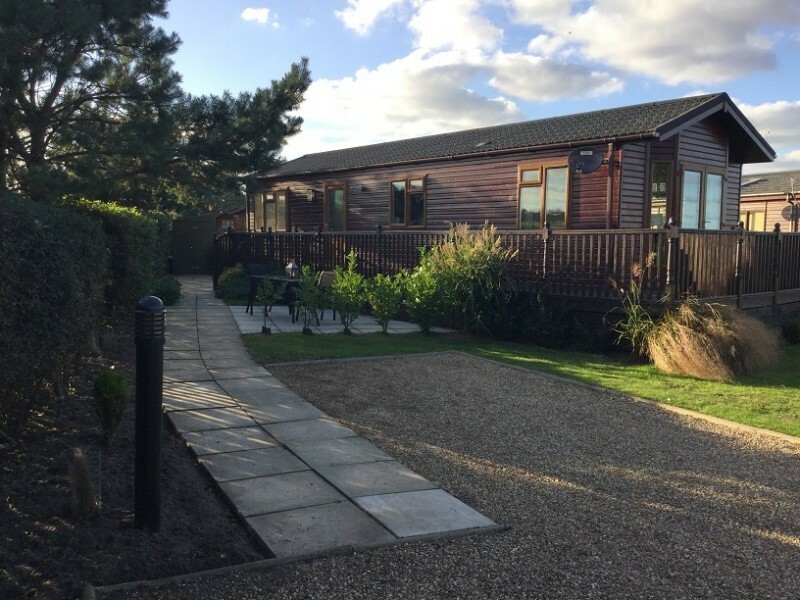 This lodge is located on a large corner plot for added privacy, and offers plenty of parking. The holiday home comes complete with a 10.5 month season. The interior is furnished with neutral colours and offers plenty of natural light. The kitchen area has a washing machine and full sized fridge/freezer. The lounge area has large patio doors that lead out onto the large wrap around wooden veranda. The exterior comes complete with a storage shed and a well landscaped garden. Please note some items are not included in the sale, but can be agreed by negotiation. I.e. The large TV in the lounge, the leather sofa bed (this will be replaced by a 3 seater leather in the same style) and some artwork.